Need a dessert idea that is easy enough to put together with the Kindergarten and under crowd? Apple crisp is the tastiest solution. There are no eggs to worry about, and if a few apple slices get eaten in the preparation process, there are worse things that you could eat raw. Plus, this is a crowd-pleaser for young and old alike. In fact, it is my wife’s favorite dessert. 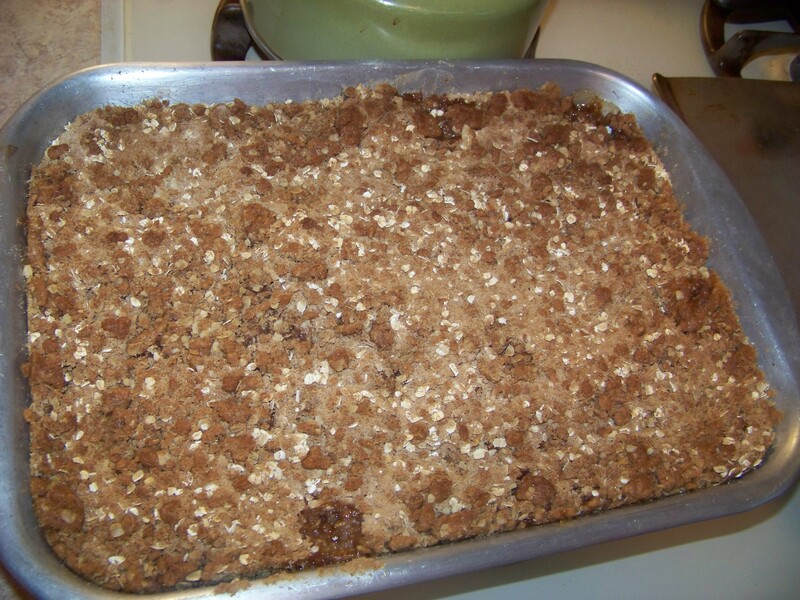 If the recipe below looks different from other Apple Crisp recipes you’ve seen, it is probably because my family likes to quadruple the amount of sugary, crispy goodness that sits on top of the apples. Judge us if you want to, but you should try it our way before you treat us too harshly. Peel, core, and cut your apples to your desired slice width (thinner for more of a pie-like consistency, thicker for a bit of crunch). Put the slices into a 9″ x 13″ pan. Soften the margarine and cut it into the bowl of dry ingredients. Mix it up until it forms some clumps. Pour the mixture over the top of the apples in the pan. Let it cool for a bit. A good way to help the cooling process is by covering it in French Vanilla ice cream. I may be breaking some kind of rule here. The recipe I’m sharing today is a family recipe. I stole it from my mom and I’m giving it to all of you. If I get in trouble with my mom, I’m going to say I was hacked and delete this post. Though writing that out may nullify any claim that I was hacked. Anyway, this is the best recipe for Sloppy Joes that I’ve ever eaten and it seemed like more of a violation to keep it to myself than it would be to share it. Also, sometimes I want access to recipes while I’m away from my cookbook at home and putting them on my blog is an easy way to reference them if that happens. But this way you can enjoy it too. If you do try this recipe, drop me a note in the comments and tell me what you think! Brown the ground beef and drain it. Add all remaining ingredients. Bring to a boil. Simmer on medium/low heat, stirring occasionally until sauce thickens. Slap it on a bun and call it dinner. Nothing says “writer fuel” like chocolate covered cookie balls, and my go-to solution is the blessed Oreo Truffle. Whether it is for a holiday get-together or sustenance for a few more calorie-enriched chapters in your book, nothing beats this recipe. Plus, if you bring in a plate of these bad boys to your work, you’ll be more popular than a generous boss at bonus time. Seriously. They are good. And perhaps better, they are easy. Just a few ingredients and a careful eye to make sure that you are melting chocolate and not scorching it. 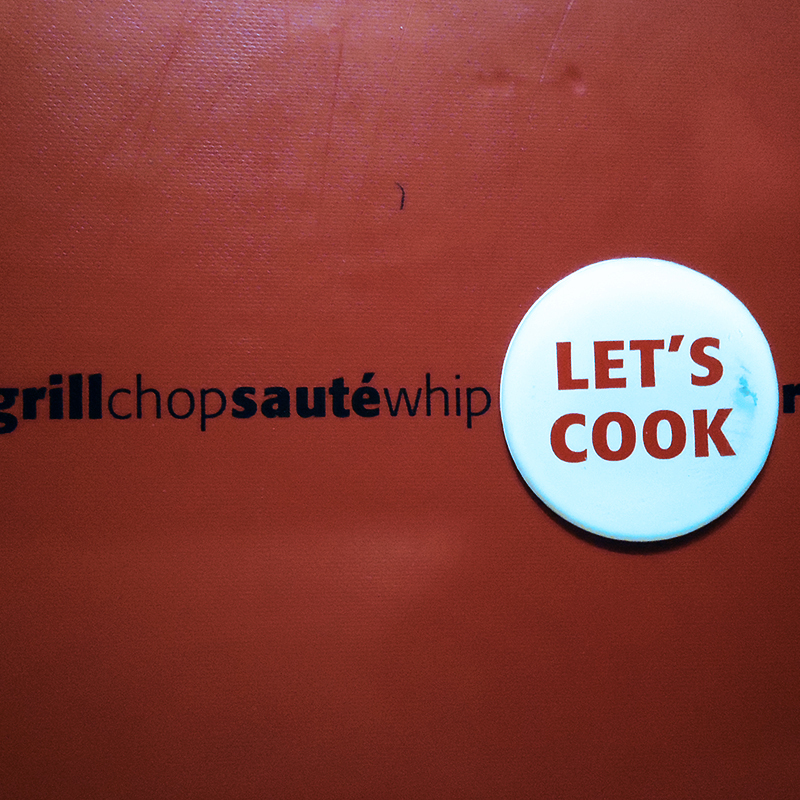 We got the recipe from Kraft, so don’t get mad at me if your waistline grows in proportion to your truffle consumption. Blame them. Save out a handful of cookie crumbs. Mix cream cheese and remaining cookie crumbs until blended. Melt the chocolate in a microwave-safe bowl in 30 second increments so it doesn’t burn. Shape the cookie crumb/cream cheese mixture into 48 (1-inch) balls. Use a couple of forks (like the mouth of a crane, not stabbing them) to dip into melted chocolate; place on waxed paper-covered rimmed baking sheet. Sprinkle with reserved cookie crumbs. (Hint – You’ll want to sprinkle as you go because the chocolate will dry fast and then your crumbs won’t stick to the truffle top). Refrigerate 1 hour or until firm. If you want to save time, you can throw them in the freezer for about a half hour. Keep them cold until you are ready to serve them. Enjoy! A while back, I put a recipe up here for Shredded Pork Tacos. I shared the recipe because it is a delicious meal that doesn’t take much work. And when you are busy writing or working or whatever, you may need such a quick meal up your sleeve. 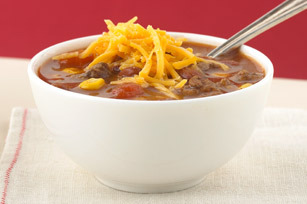 Today, I’m sharing another one of my favorite quick meals: Taco Soup. My wife and I got the recipe for this from a Kraft Foods magazine, but we’ve altered it to fit our tastes a bit better. And in addition to being tasty and quick, this recipe make a good amount of leftovers that warm up well on cold autumn days. Enjoy! Brown the ground beef with the chopped onions. Drain it. Add all remaining ingredients except the shredded cheese. Bring to a boil. Simmer on medium/low heat for 5 minutes, stirring occasionally. Put it in bowls, top it with cheese, eat it. If you are looking for a meal that will taste great AND require almost no prep time, try this. It is honestly the best taco meat recipe I’ve ever tasted. My wife and I eat this meal fairly regularly as we both work full-time and have two kids who require attention (not to mention our other interests). It comes from Don’t Panic–Quick, Easy, and Delicious Meals for Your Family by Susie Martinez, Vanda Howell & Bonnie Garcia, published by Revell Books, an imprint of Baker Publishing Group. Place ribs in crockpot. Sprinkle seasonings over meat. Cover and cook on low for 6-8 hours, until meat is tender and can be shredded with two forks. Remove bones and extra fat from meat. Assemble soft tacos using tortillas, salsa, and favorite toppings. Hint – No extra liquid is needed when cooking these ribs!